With its solid reputation for being one the most dependable, safe, easy to maintain, and efficient cars on the road, the Honda Civic is a great choice when you are shopping for a quality used car. Here at Middletown Honda, your preferred Honda dealer for Middletown, NY, we feature some terrific used Civics in our huge pre-owned inventory. Whether you’re looking for a reliable second car, a first car for your teen, dependable transportation for a college student, or just a solid daily driver, it would be hard to find a better choice than a used Honda Civic. The Honda Civic has been and remains one of the most popular compact cars in the U.S. The most common used Civic models you’ll find are the 8th generation models, dating from 2006 to 2011. Trim Levels: available in the base level DX, the next level LX, the fully-loaded EX, the premium EX-L, or the sport-minded Si, the generation eight models also include a natural-gas powered model and a hybrid. Features: the DX trim is a fairly stripped down model, comfortable, efficient, and fun to drive, but without many of the bells and whistles you’ll find on the upper trim levels. As you climb to LX, EX, EX-L, and Si models you’ll find standard features such as cruise control, Bluetooth, steering wheel-mounted controls, navigation system, heated front seats, and a sunroof. If these extra features are important to you then seek out the higher trim models. Safety: all models offer a wide range of safety features, including anti-lock brakes and a full array of advanced airbags. Stability control is offered on the EX-L, Si, and Hybrid models. Performance: the standard engine in used Civic models 2006-2011 is a 1.8L, 113 hp, four-cylinder paired with a five-speed manual transmission. The five-speed automatic transmission was an available option. The Si coupe and sedan models are powered by a zippy 2.0L, 197 hp four-cylinder engine with a six-speed manual transmission. The Hybrid model comes with a 1.3L four-cylinder engine, paired with an electric motor and a continuously variable transmission (CVT). 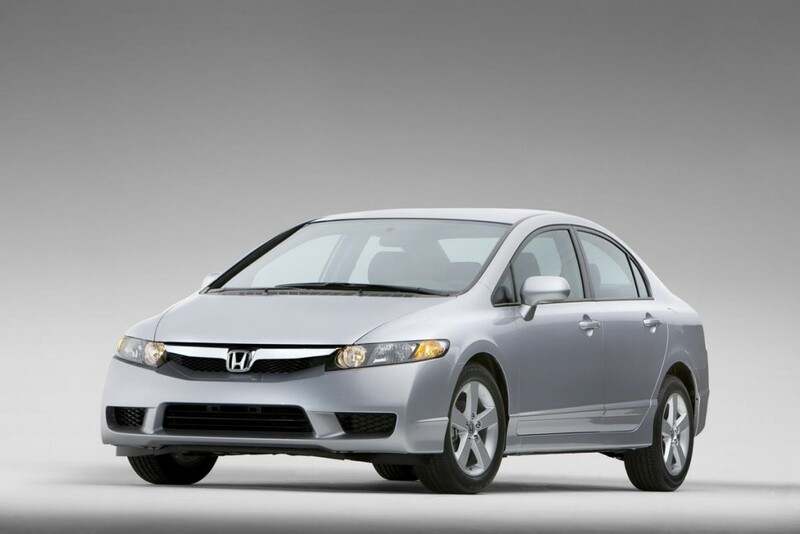 A used Honda Civic offers great value in an affordable car that you can depend upon. See how the Civic compares to the Cruze and Kia Forte, then stop by our Honda dealership near Mechanicstown and take the used Civic of your choice out for a test drive. We are located at 520 Rte. 211 E. in Middletown, just 5 minutes from Mechanicstown. Our inventory of used Civics is always changing, so visit us soon to find the right used Civic at the right price for you today!